The Rev'd Kathy Lloyd Roberts first visited Temple Balsall on a church outing with her future husband, Alwyn, when they were childhood sweet­hearts at the age of 14. She qualified as a primary school teacher before moving to further education, finally becoming Manager of Student Welfare and Student Finance at City College Birmingham and responsible for Child Protection and Vulnerable Adults. She retired from this post in 2008. She trained to become a priest as a part-time student at the Queen’s Foundation in Birmingham while continuing her work in further education. In 2004 she took up a placement at St. Mary’s and after being ordained in 2006 was appointed curate here. Kathy has three grown-up children – Felicity, Emily and Benjamin – who have been her great support since her husband, Alwyn, died suddenly in November 2008. She also has six grand children, Archie, Felix, Oscar, Hughie, Arlo, Nancie and Archie's sister Eadie. Sue Dilworth grew up in Romford, Essex. Following senior school in Bow, in the East End of London, she came to Aston University in Birmingham to study Systems Analysis, where she met her husband John. They both found employment in the Computing Departments of midland’s based industrial companies and have lived in and around north-east Birmingham since marrying in 1972. In 1997 they moved to Fen End, in the Temple Balsall Parish when Sue found employment in the IT department at AGCO, whose connection locally was the ownership of Massey Ferguson tractors factory in Coventry. John & Sue started attending St Mary’s in 1998. From 1999 until April 2003 Sue was Churchwarden. In September 2007 she was accepted to train as a Reader and was licensed as a Reader in January 2009. Sue assists and preaches at Sunday worship. She retired in 2014 since when she has become more widely involved in weekday life of the Foundation of Lady Katherine Leveson, including volunteering at, and joining the governing body of Lady Katherine Leveson Church of England Primary School. 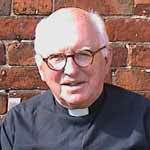 John, who at the time was Churchwarden, sadly died in January 2014. 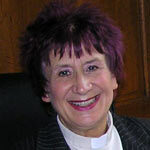 Leslie Houlden, now long retired, was Curate at St Mary's Hunslet, Leeds; Chaplain Fellow of Trinity College Oxford; Principal and Vicar of Cuddesdon; Lecturer, then Professor of Theology at King's College London. Unfortunately, Leslie is now unable to take services but he is being cared for with love in our residential home for older people. He is the author of many books chiefly on New Testament and doctrinal subjects, including The Strange Story of the Gospels (SPCK, 2002). He has edited Jesus in history, Culture and Thought, 2 vols, an Encyclopaedia published in 2003 by ABC-CLIO. three daughters and three grandchildren. love of Jesus Christ. Amen. Peter and his wife Jennifer came to Knowle in 2016 in what they sometimes call their second phase of retirement, moving from Derbyshire where they had enjoyed the freedom of walking in the Peak District, and they quickly found a warm welcome here at Temple Balsall. After studying in London and Cambridge Peter was ordained in Ely Cathedral and worked in parishes in Cambridge and Wimbledon. He then changed direction and worked for most of his ministry as a school chaplain, first in Canterbury and then at Radley, near Oxford. Jennifer and Peter have recently celebrated their Golden Wedding Anniversary, and with four grown-up children they now often find themselves away from home, looking after some of their seven grandchildren and trying to keep up with the energy and enthusiasm of the youngsters.